With many years of training experience on CELTA, DELTA and ESOL Diplomas, and as an international speaker, I am available for 60-90 minute talks or workshops, or half day or full day in-service training, and plenaries or keynote talks. The list below is not exhaustive, so if there is are any blog posts on the site which interest you , which you think might make the basis of a training session at your institution, do please get in touch. You can contact me from the main page of the site. ‘We had the pleasure of Rachel’s expertise, knowledge and impeccable presenting style as our Keynote Speaker for the inaugural Conference Day, for the NATECLA Scotland Branch. She delivered her award-winning presentation on the ‘Guilty Secrets of the ESOL Classroom’ to the delight of our Conference delegates. Rachael has an assured presenting style, engaging manner and above all else really knows her stuff! The feedback about her keynote speech was highly impressive and I wouldn’t hesitate to invite Rachael to speak for us again’. We all have them, those guilty secrets. Things we do in class that we might not want an observer to catch us doing! For example, getting students to read aloud, talking too much ourselves, explaining rather than eliciting, letting students use their first languages or just getting side-tracked away from what we planned. In this session we will look at some these ‘guilty secrets’ and consider the evidence for or against the practice. What does research have to tell us? Do we really have anything to feel guilty about? A chance to confess, explore and consider our practice. Based on my series for English Teaching Professional magazine, this workshop looks at a myriad of ways in which you can more fully exploit the coursebook that you’re using. We’ll try out ideas for using the pictures, the vocabulary, the texts and audios and the speaking and writing activities in different ways, to provide your students with more variety, and you with more options. In recent years lesson planning has come in for a bit of a hammering. Along with the use of course books, lesson planning is somehow seen as stifling, something only novices need to do, and not learner centred. However, research suggests that even experienced teachers are not as good at thinking on their feet as they imagine and planning, done effectively, can give you the framework from which you can then branch out creatively and confidently. In this session we will look at some practical planning techniques to help teachers use pre-prepared materials in creative, student centred ways, without having to spend hours planning. Feedback is sometimes seen as a kind of optional add-on to a lesson; the bit that can be skipped if we run out of time. However, having observed hundreds of lessons, I would say that what happens (or doesn’t happen) in feedback tells me much more about the calibre of the teacher, and how effective they are in promoting learning, than any number of fun activities or even interesting texts. In this session we look at why feedback is, in fact, at the very centre of what we do as teachers. And why, as John Hattie says, ‘the most powerful single moderator that enhances achievement is feedback.’ Bearing this in mind, I share some practical ideas for developing and honing our own feedback skills as well as training learners to give themselves effective on-going feedback. 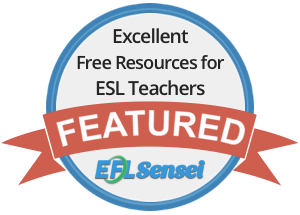 Many ESOL students have been affected by past traumas, and still more are subject to the chronic stressors of living on a low income and finding everyday tasks complicated by a lack of language or an understanding of cultural norms. ESOL teachers are also not immune from stress, with high workloads, and ever changing funding. In this workshop, we will explore how mindfulness can help both students and teachers to step back from stressful situations and recognise that we have choices about how to respond to them, rather than reacting automatically (and usually unhelpfully). We will look at a range of practical ideas and classroom activities. A half day session in which we will: Consider how learners differ from one another, including strengths outside the subject area and learning styles. Understand the principles behind differentiation. Review and develop a range of strategies for differentiating by task, teaching method and outcome. The temptation is to keep trying to teach them something completely new, even if it isn’t really very useful, when what they probably really need is to further develop and deepen what they already know, or to gain a fresh perspective. What problems do advanced students still typically have? What approaches, materials and activities can be used to help them? What pitfalls should we avoid? Considering that our brains are a key tool in learning, it is surprising how little most of us really know about how the brain works. Education is full of vague statements about only using 10% of our brains or using the right or left brain, or being a kinaesthetic learner, but are these really based in science? In this session we will look at what recent research has to tell us about how we learn, looking at memory, motivation, emotions and metacognition, and how we can apply these findings in the classroom to help our students learn more easily and effectively. We are all familiar with listening activities which encourage prediction skills, or ask comprehension questions. However, while these are useful practice activities, research suggests that the real key to successful listening comprehension is an ability to decode phonological features, which is often challenging for students. In this presentation, I will look at what kinds of phonological features teachers can usefully focus on, and exactly how this focus can be integrated into the lesson, with plenty of practical ideas to take away. Teachers often want to use authentic listening resources in the classroom, but are unsure about where to find suitable resources or how to exploit them fully. Authentic listening resources can deliver much more than just an opportunity for a few comprehension questions, they can also help learners to develop the ability to understand natural spoken English, and provide them with useful models to develop their own language and speaking skills. In this session we will look at some useful sources and try out some practical ideas for exploiting recordings in a variety of ways. Very often listening skills are ‘taught’ by simply giving lots of practice in listening. This is all well and good, but how can we actually help learners to develop their skills? In this half day session we will start by looking at what is known about the process of listening, and move on to consider different listening skills in detail, including the often neglected bottom up listening or decoding skills. The participants will then have a chance to develop their own listening materials, using some authentic videos. Perhaps the largest part of our daily conversation is made up of stories: anecdotes, excuses, explanations, jokes. In this session we will explore classroom activities to help develop our learners’ ability to express themselves and relate to others through narratives. Many people see language drills (repeating language) as dull, patronising and outdated. They can be all of those things. However, done in the right way, they can in fact provide an enjoyable way for students, especially those with low literacy levels, to gain confidence and ultimately develop fluency. In this workshop we will try out a range of drilling-based activities which require little or no preparation or resources, that are directly relevant to the needs of your students, and that I guarantee you and your students will enjoy! For many years the most popular view of reading in ELT was that it was a kind of ‘psycholinguistic guessing game’ (Goodman 1967) where readers used knowledge of the context and the world to guess and predict, only falling back on bottom up or decoding skills when these top down skills failed. However, it is now becoming clear that without bottom up skills, top down skills are pretty limited and may even send us off in the wrong direction. Rather than simply testing comprehension again and again, we need to teach students how to understand a text, and how to use both top down and bottom up skills. In this workshop we will explore exactly what bottom up skills are and look at a number of practical ways in which they can be integrated into our classroom practice, providing students with everything they need to read more efficiently and effectively. Often when students are writing, they’re heads down, working on their own. This may be useful, but not necessarily ‘fun’. Teachers generally prefer their students to be heads up, out of their books and firmly in the classroom together, interacting . But if we therefore always get students to write at home, and leave class time for something more interactive, in what sense are we teaching them how to be better writers? So, how can we make writing in class more attractive, more fun? Essentially this is about making writing every bit as communicative as speaking. In this session, I look at what I think are the key ingredients for a successful, and fun, in class writing activity, giving lots of practical examples- some of which we’ll get to try out. How can a playwright from the 16th Century be relevant to ELT (students learning English as a foreign language), and particularly ESOL students (those learning English in order to live and work in an English speaking community) today? If many native speakers struggle to access the archaic language, how can it be appropriate to teach Shakespeare to students who don’t speak English as a first language? A recent survey by the British Council, however, showed that Shakespeare is still the most recognised UK cultural figure in the world today and, I would argue, this is largely because his themes, and the beauty of his language, speak to people around the globe. In this presentation we will look at some different ways in which teachers and learners of English can approach Shakespeare with confidence. From dealing with Shakespearean language to contextualising Shakespeare’s plays in the modern age, I hope to provide something of interest for anyone interested in teaching or learning more about Shakespeare. IELTS students are likely to be amongst the most demanding of clients: they usually have a very specific (and often unrealistic) goal, and a great deal depends on their achieving it. For less experienced teachers, this in itself provides a challenge. However, to add to the pressure, the exam itself can seem very intimidating. IELTS is designed to discriminate between all levels of learners, up to near native or native standard, so the tasks can be very challenging. It is also built around a genre of English with which teachers may not feel very confident or familiar. In this session we will look at practical ways to help teachers become more familiar with the different genres used in all four elements of the test, focusing on such things as layout, structure and typical language. Clearly, there is no substitute for experience, but approaching IELTS in this way can go a long way towards unlocking its mysteries for both teachers and, in turn, their students. Many students seem to find the Speaking exam the most challenging part of IELTS. As an former examiner, it is very obvious which students have been well prepared (or not!) In this session, we will look at practical activities and techniques to help students develop their awareness of typical speech functions needed in the three stages and become more confident and fluent speakers. We will start by looking at some typical problems students have in the IELTS Speaking exam, and briefly look at how IELTS is assessed, considering how an awareness of the different speech functions needed for the exam could help improve the students’ score in all four areas. We will then try out some different activities to help students notice and appropriate the language used to express these functions, thus improving both the quality and fluency of their contributions. Many teachers produce their own materials, either from necessity or to provide something more tailored to the needs of their students. However, writing materials for a whole lesson, which really engage the learners and focus effectively on language, is quite a challenge. Teachers learn through experience, but are rarely given much support or training in this area. In this session we will look at a simple recipe or template (based on Hutchinson and Waters 1987) for producing complete lessons, and consider a variety of do’s and don’ts taken from my experience as a professional materials writer. In this half day session we will look at some of the reasons why materials are successful (or not) in the classroom, analysing both published materials and the participants’ own materials. Through this process we will put together some checklists for participants to take away. The second part of the session will look at ways of helping learners to create their own material, an inevitably learner centred process, which also has the advantage of reducing teacher preparation time. ESOL classes can be astonishingly diverse, with learners speaking perhaps ten different languages between them. In these situations, can there be a case for using the learners’ mother tongues as a resource? We will look at a variety of approaches and activities most of which you can use even if you don’t speak a word of any of their languages! Recently there has been a focus on dealing with ‘emergent language’, rather than following a syllabus. But does this mean that coursebooks are irrelevant? Surely coursebooks are ultimately a collection of topics, texts and tasks- the bedrock of any course. In this session we look at some ideas for using coursebooks while still allowing the teacher to facilitate and engage with emergent language. We’ll start by looking at the idea of emergent language: that rather than prescribing what students learn, we need to recognise that students will learn what they need to when they are ready. One of the features of this focus is a ‘materials light’ approach, which has been taken to mean that coursebooks should not be used. In fact, the originator of dogme, Scott Thornbury simply said they shouldn’t be the tail that wags the dog. Giving students feedback on their output, allowing them to notice the gap between their own interlanguage and their target. Activities will include versions of dictogloss and dictations, using transcriptions of recordings, live listening and the Language Experience Approach. The workshop is intended to leave the audience with the sense that they have plenty of tools to use and adapt existing materials, rather than that they always have to create their own lessons from scratch, something which is often daunting and even impractical. As I am going to have my 1st interview to be recruited as an ESOL Adult Tutor I feel I need to hire a tutor to have some lessons via Skype to teach me how to make a Scheme of Work and a proper lesson plan (as my panel asked for it). I am doing my M.Ed. in TESOL in the Open University but still feel I am not able to face the interview in a few days. Also, I have NEVER been taught on HOW to design a scheme of work! Could you probably help me with this? Thanks a lot! Hi Victoria, I’ve just emailed you with a few suggestions.